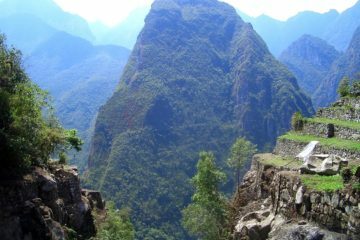 Peru Tours: The best destination os South American destinations and that which offers birdwatches and aficionados of mountain scenery, lost worlds and ancient cultures the travel experience of a lifetime. The magnificent scenery of the high Andes, the ruined cities of the Incas and the great rainforests of Amazonia, images of condors sailing past icy peaks, packed masses of seabirds on guano islands, toucans and macaws eating ripened fruit in the rainforest canopy and the Archaelogic places only enhance the dream of a visit to this fantastic country. Although the Inca ruins of Peru are the country’s most famous attractions, this tour will open your eyes to the abundance of natural, historical, and cultural interests found throughout this fascinating and diverse country. Over the course of 9 days you will traverse the Peruvian coast, travel through the highlands, and make your way into the Andes. 6th, the day of the three kings) has been the capital of Peru. Its magnificent colonial architecture led UNESCO to declare the Historic Centre of Lima a World Heritage Site. Baroque and neoclassical churches and convents, balconies dating back to 16th, 17th and 18th Centuries, colonial town houses and beautiful public spaces speak of a past in which Lima was Spain’s richest vice regal capital in the Americas. But Lima is also a modern metropolis and an ever-growing melting pot of cultures. On the shore of the Pacific Ocean, with a world-renowned cuisine and friendly people eager to show their city to visitors, Lima, your first taste of Peru is an attraction in itself. This tour includes points of interest such as the Main Square (Plaza Mayor) founded in 1535 by Francisco Pizarro, conqueror of Perú, Government Palace, City Hall, the Cathedral, San Francisco Convent, built in the 17th century, and its “Catacombs” ancient underground cemetery of Lima, and finally the House of El Oidor. During the tour, you will see other colonial architectural jewels, such as Torre Tagle Palace, a beautiful mansion dating back to the 18th century and the Osambela House. The tour continues to the new residential and commercial areas of San Isidro and Miraflores. La Rosa Náutica offers the most complete selection of Peruvian and International cuisine, as well as the most sophisticated bar to be found on the Pacific shores. Rosa Nautica fulfills all senses: taste – probably one of the best restaurants in all of South America; sight – the waves break beneath your table; smell – between the aromas from the kitchen and the salty air, it is heaven. Overnight at Novotel or similar. Flying over the mysterious Nazca lines, is the only way to see them. These are drawings made in the sand over 2,000 years ago, that time and weather have not eroded. You will see gigantic geometrical lines resembling a landing field and over 32 figures including a monkey, a spider, a condor, a reptile, a fish, a bird, etc. The biggest figures are the reptile of 180 meters and the monkey. The area of the Peruvian desert in which the Nazca Lines were drawn is called the Pampa Colorada (Red Plain). It is 15 miles wide and runs some 37 miles parallel to the Andes and the Pacific Ocean. The desert is not sandy, but made of dark red surface stones and soil with lighter-colored subsoil beneath. The lines were created by clearing away the darker upper layer to reveal the lighter subsoil. It seems incredible that such simply-made drawings have survived for hundreds of years. Overnight at La Hacienda Hotel Paracas or similar. The Paracas National Park is about 250 kilometres South of Lima, in the department of Ica. Its closeness to Lima and its dry, sunny climate throughout the year as well as the region’s immense natural and cultural wealth make this an ideal tourist area. Among the outstanding natural attractions are the Ballestas Islands, on which you can admire thousands of sea lions, seals, different species of birds (unique on the Peruvian coast), including picturesque penguins from the Humboldt current, otters and schools of dolphins. To reach these islands you take a fast speedboat across the beautiful bay of Paracas, during which you will also be able to appreciate the enigmatic figure of the Candelabra designed in the sand on a coastal cliff, which can only be seen from the sea. This gigantic 200 meter figure is attributed to astronomists of the Nazca culture. Cultural development in this region began approximately 1,100 years ago during the Paracas civilization. Julio C. Tello, a famous Peruvian archaeologist, discovered, in the sands of the Paracas peninsula, vast underground cemeteries which contained the famous Paracas Mummies. Back to Lima in the afternoon. Rest of the morning free to acclimatized to altitude. Cusco, The Archaeological Capital of the Americas, exists in the present and the past at the same time, being a living example of the meeting of two different ages of culture. Visit to the Koricancha or Temple of the Sun and the Cathedral from the early 17th century, a fine example of colonial baroque art. 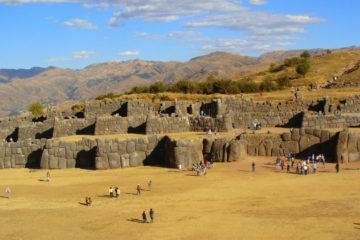 Continue the excursion with the visit to the nearby ruins of Tambomachay with their water fountains; Kenko, the religious center; Puca-Pucara, the red fortress, and finally the fortress of Sacsayhuaman. Overnight at Novotel Contemporanea or similar. Early Buffet breakfast at the hotel and transfer to train station to board the train to Machu Picchu. The train goes through Urubamba Valley, the Sacred Valley of the Incas, to the fabulous mountaintop ruins of Machu Picchu. Framed by spectacular Andean peaks and surrounded by verdant jungle, Machu Picchu is an eye-tantalizing tribute to man in harmony with nature. 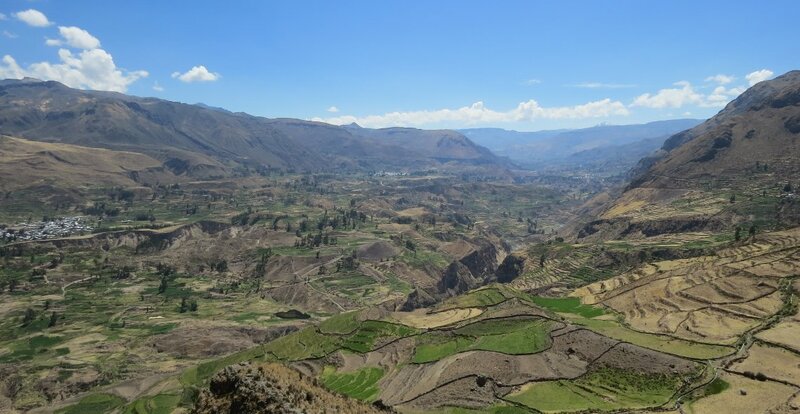 Located high above the clouds, the city’s streets, temples, and staircases spread across a jungle ridge that eventually plunges more than 300 meters into the treacherous waters of the Rió Urubamba below. Everything within this city, from the intricate terraces and delicate gardens to the complex system of aqueducts, was designed to promote and preserve the sacred relationship between man and the nature. Natural phenomena like the sun, moon, water, and earth, were sacred to the Incas and were the inspiration for much of the city’s layout. Besides its awe-inspiring architecture and spiritual atmosphere, perhaps the most enchanting aspect of Machu Picchu, is its relative historical ambiguity. Enjoy Buffet Lunch and continue your walk in this Magic place. Since it was first introduced to the modern world in 1911 by Yale archeologist Hiram Bingham, this mountain city has yet to reveal the purpose of its origins and a number of theories have circulated throughout intellectual circles, including one suggesting that it was a boarding school where the children of those conquered by the Incas were brainwashed. Despite, or perhaps due to its enigmatic character, Machu Picchu has become one of the most popular destinations in the world. Afternoon return to Cusco by train and transfer from train station to Hotel. Overnight at Novotel – Contemporanea or similar. Ollantaytambo is to 75 kilometers of Cusco, towards Machu Picchu, located at 2,800 meters above sea level. 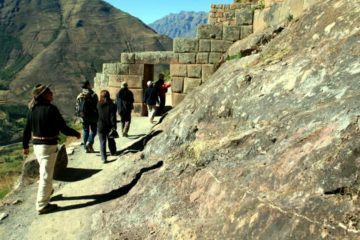 You will visit the remarkable fortress of Ollantaytambo, built by the Incas. A very steep stone staircase leads into the fortress. Across an esplanade there is a temple with 10 niches, and beside it a block of partially unworked stones. Beyond another esplanade, six huge rectangular monoliths (estimated weight: 50 tons) form the Temple of the Sun. Vestiges of rooms are seen on top, and on the other side of the hill a four storey building, either a military school or prison. Pisac Fair, everyday is carried out in the Main Square a crafts fair, outstanding beautiful textile crafts, sweaters, ponchos, bags, etc. and the crafts made out of ceramic with reproductions of Inca archaeological pieces, the queros (ceremonial glasses), necklaces, etc.